Previous Post Party Like It’s 1776! Love this dress! Cannot believe it's as inexpensive as it is!! This is gorgeous! I have been looking for a dress like this. I love the embroidery. Such a cute look on you! Summer perfect! Such a cute outfit! It's perfect for summer when you're just trying to be cool and casual! I love the ethnic vibes of this outfit. You look fabulous dear! That dress is so cute! I am definitely going to have to get a dress like that, Old Navy has some great ones right now! Such a cute outfit for a casual Saturday! Omg! obsessed with that dress! And that bag is just TOO cute. I love ChicWish! This dress is sooo cute and looks so good on you!! You look gorgeous! I haven't jumped on the bandwagon for off the shoulder looks, but this makes me want to try some out. Thanks for sharing! I love this dress so, so much! Might need to snag it for myself. 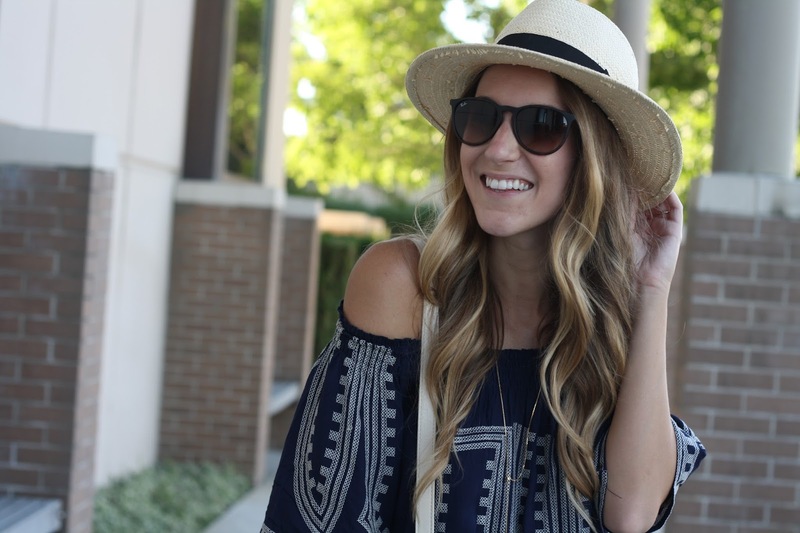 The sandals + hat are the perfect accessories for this! Completely OBSESSED with your shoes, the look in general is so perfect for a hot summer day! I got on a waitlist for a dress that is almost identical to this one, but for more money! Its so cute, I'm definitely going to have to snag this one instead! My favorite is the hat! You look darling in a hat! Gorgeous dress — absolutely loving how you styled it! I love this dress…especially the pattern! I'm so relieved to know that it's light weight and good for summer temperatures. Sometimes I don't buy things online because I can't tell how thin/thick they are…and sometimes that's really a deal breaker!